The Circulation Department is situated on the first floor of the Library. 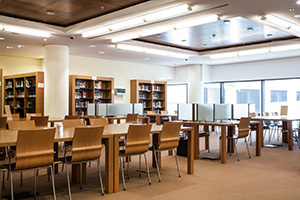 It consists of the Circulation Desk, the Quick Reference section, and a space of 13 PC workstations which provide access to the catalogues and databases of the Library. The latest issues of journals acquired by the Library, as well as small temporary exhibitions και tributes are also hosted in the Department. The Library has two Reading Rooms on two levels, with 60 study seats and 6 computer workstations. In Reading Room A there is a collection of scores and reference books on music, and in Reading Room B there is a collection of reference books on the fine arts and humanities. 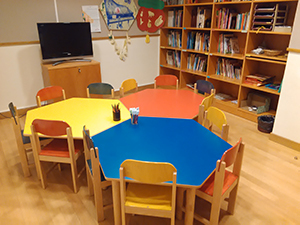 Children’s Library is a room specifically designed for children aged 3-8 and is situated on the first floor. Children can visit the Library accompanied by either a teacher (eg. during school visits), or by an adult (for individual young visitors). 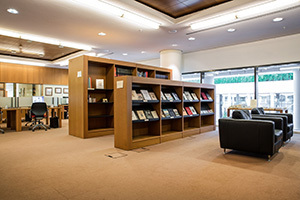 Children’s Library includes material related to music, literature, and the fine arts, as well as a collection of educational and recreational board games. It also features audiovisual equipment for playing CDs and DVDs. 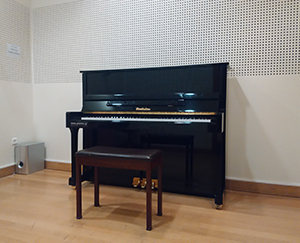 The Library has two designated music practice rooms, one of which has an upright piano which is a donation of ‘Athanasatos’ Music House. The use of the practice rooms is free. A reservation must be made in advance at the Circulation Desk. 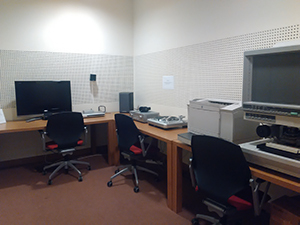 On the first floor of the Library, behind the Circulation Desk, there are four multimedia rooms which have audiovisual equipment for playing CDs, DVDs, VHS, audio cassettes, and LPs. One of the rooms has also got a special Microfilm/ Microfiche Reader for using the Library’s microfilm and microfiche collections. 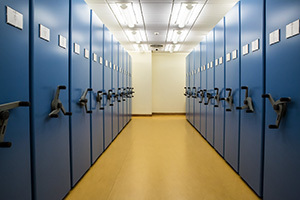 The majority of the Library’s collection is located at the Bookstacks, which are accessed exclusively by staff members. Readers who wish to use Bookstacks material should apply at the Circulation Desk.